I produced a large number of the photos and maps for that book. Don't think I got much credit, though. Tim, did you work with Donna Shirley? Yes, as far back as MRSR in the late 80s. 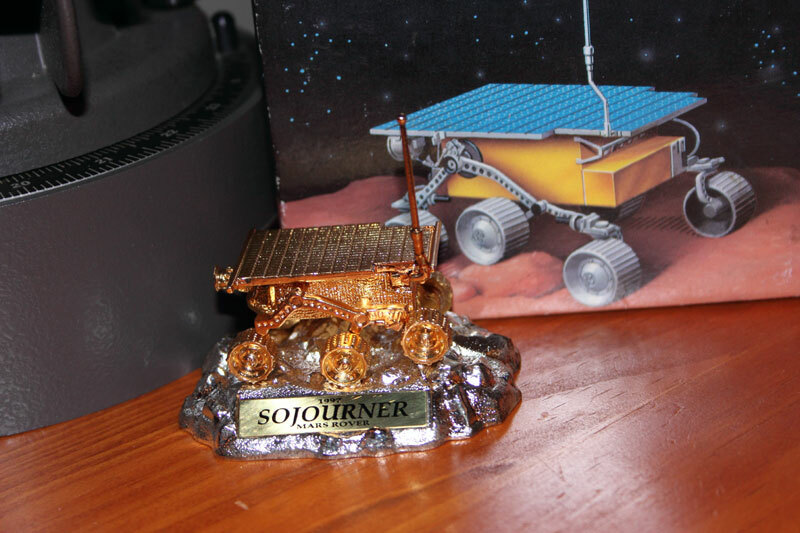 Here`s the 1997 Hot Wheels JPL Limited edition 24K plated Sojourner model. These were mentioned in the thread. 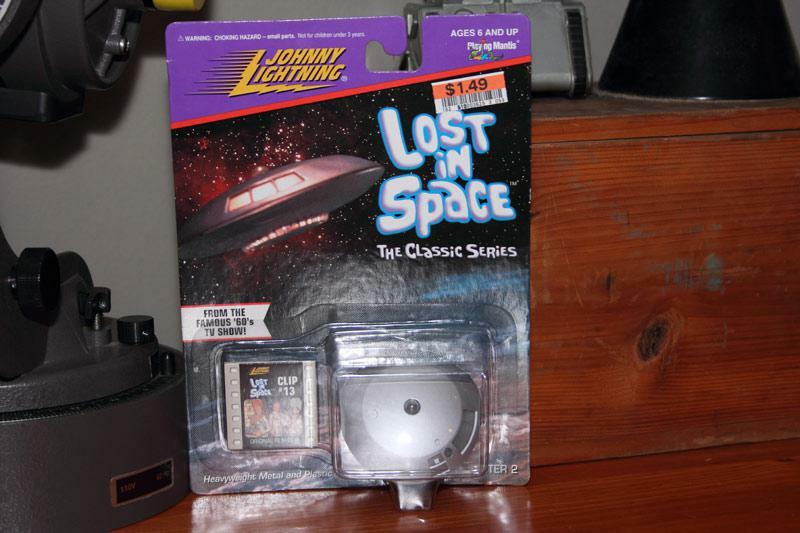 ^ What, no space pod??? 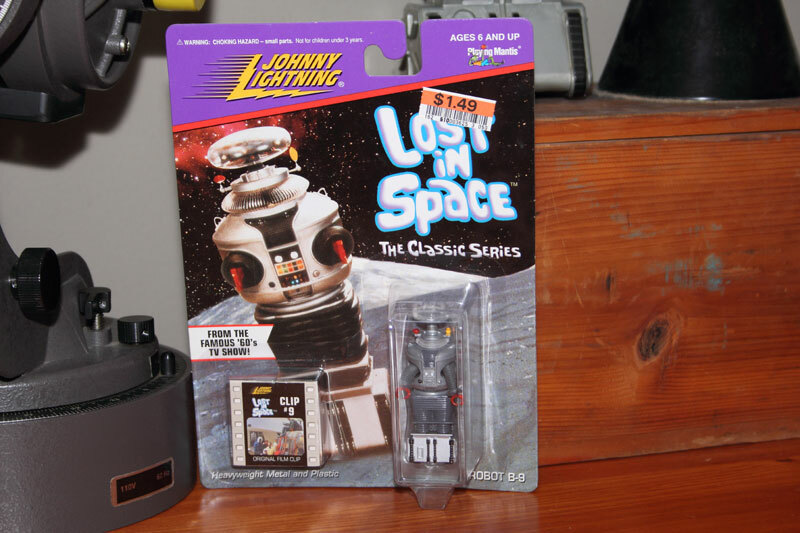 My Johnny Lightning set is currently in my office at work, next to my Robot Chicken Mad Doctor & Chicken action figures, and a few other toys. 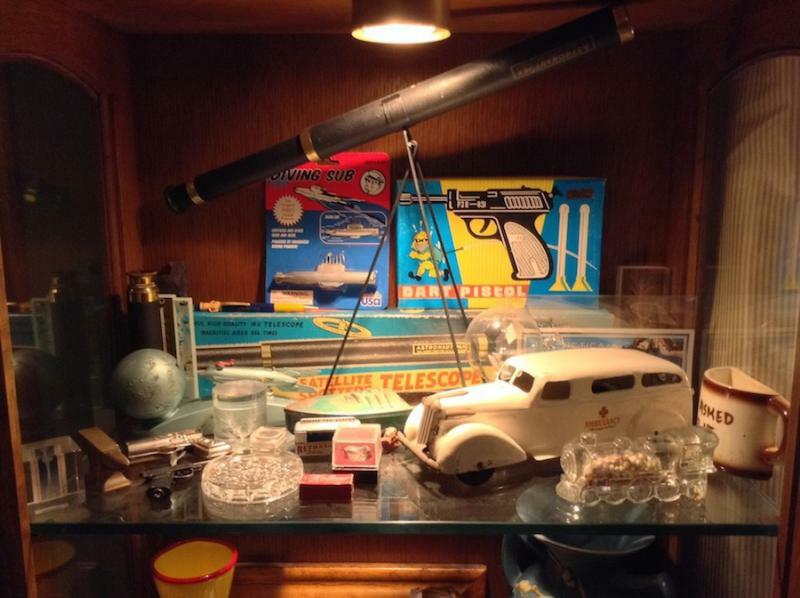 I used to have my Star Trek stuff there but the janitor took a fancy to it, so I brought it home to remove temptation. I read her book some years ago. I had to pull a team of "veterans" together and found it a challenge to get people nearing the end of their careers to work together. I actually found some wisdom in there, along with about a half dozen textbooks on training and working with adults. I have to confess that I can't recall if you were mentioned in there, Tim, it's been years. I loaned Shirley's book to our HR manager, who apparently liked it quite a bit because when she retired, she took it with her and I never got it back. I might have been in her book, but I can't remember. The MRSR project was rather interesting. 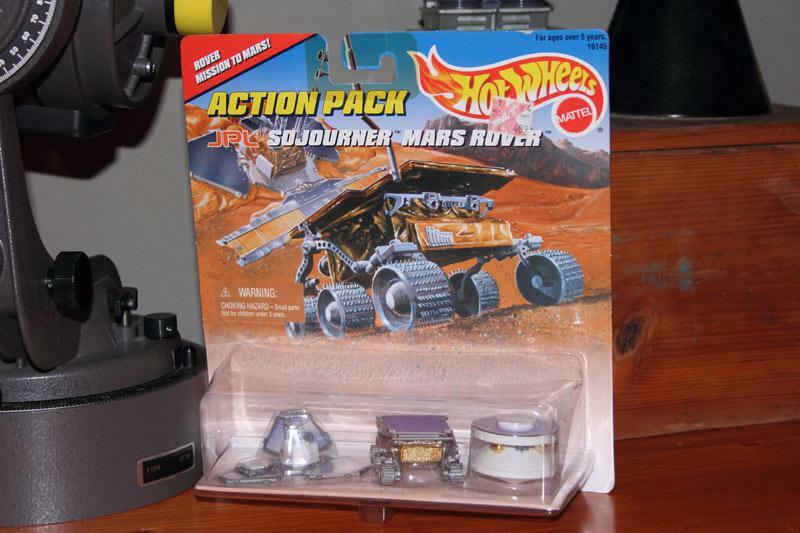 It was going to be a rather large rover with a MAV on the back to launch samples back to Earth. Probably via a transfer orbiter. The rover was intended to go at least 100km, after which the samples would be launched. But the rover would continue as long as it lasted. We were looking at sites where we could drive 1000km. Do you think we'll see a sample return mission in our lifetime? At least while we can still wipe the oatmeal from our own chins? That's one of the shelves in my office at work. 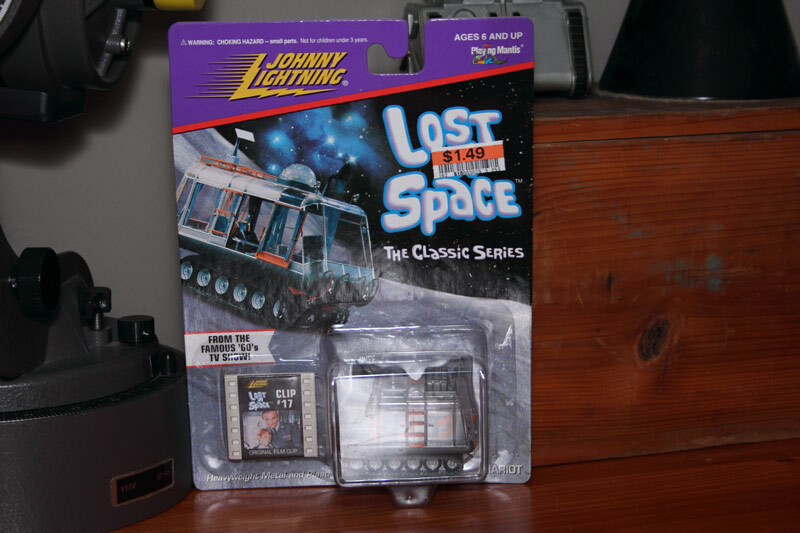 The Johnny Lightning stuff is on the adjacent shelf, above my model RX-8 cars (and one RX-8 Transformer). The 6 ashtrays from my eBay win arrived yesterday! I'll get a group photo of all 7, including the one I already had, tonight or tomorrow. Lucky 7, lol. They are pristine. They obviously have never been used. 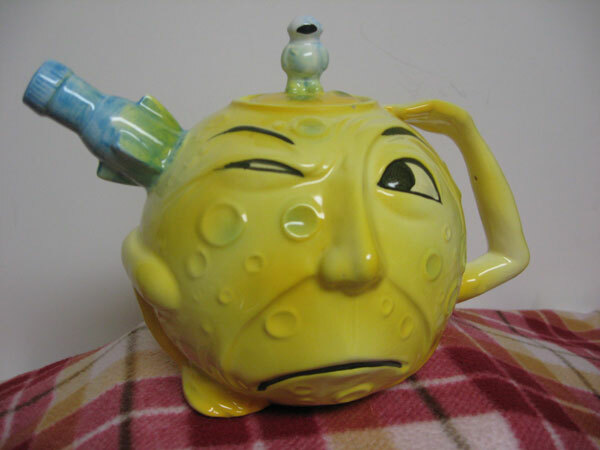 My original one was actually used as an ashtray by the previous owner and I had to soak it in ammonia for half a day and take a nylon bristle brush to it to remove the residue (yuck, made the kitchen sink stink while soaking). My original has a nice patina of dust on it that I'm going to have to clean before any group photos are taken. 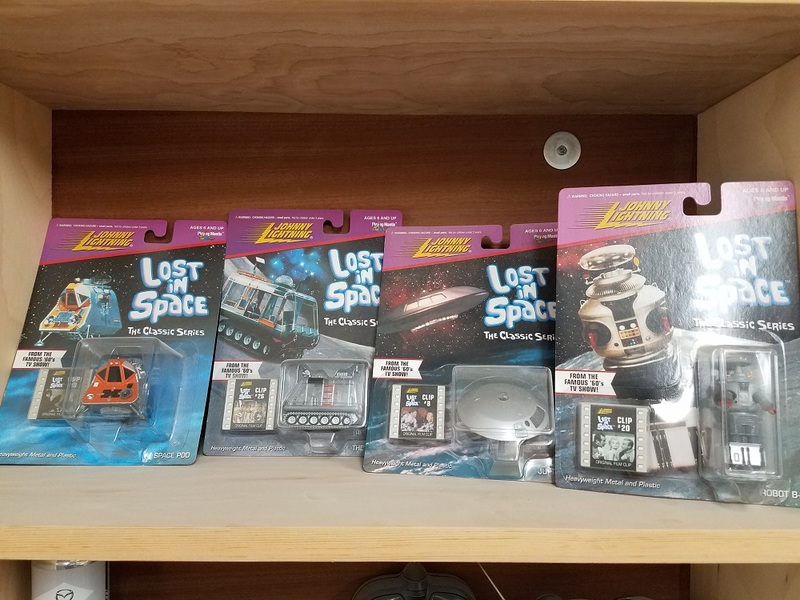 As I was unpacking them, my wife asked "what are you going to do with them?" I replied, "Right now, just line 'em up and look at 'em!" The price for all six was $5.99 plus $7.00 shipping. I was the only bidder, at 30 seconds to go in the auction. No other watchers. 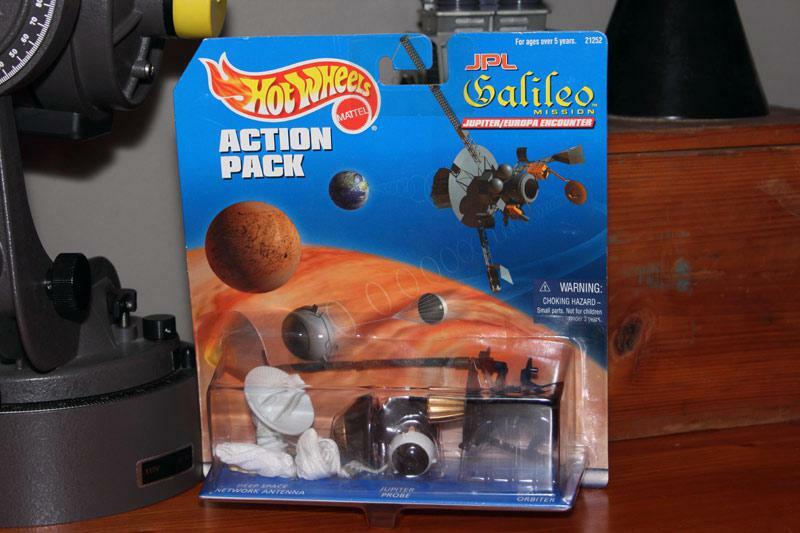 Hey, I like that Big Dish antenna in the Hot Wheels Galileo! Well it was a nice day in the Buckeye state ( Ohio ) ,for a road trip. Annie, my yellow Labrador retriever and I took off for Athens, Ohio, 330 miles, 5 hours and 40 min. AND YES DAVE A FULL TANK OF GAS round trip away. To buy a Craigslist find. No U.P.S. ( U.sually P.ulverized S.hipping ) for this item. 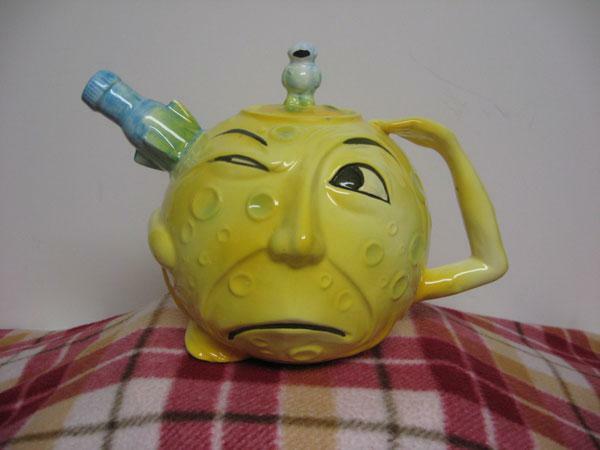 The inspiration for this ceramic creation was a 1902 silent movie by George Melies called " A Trip To The Moon " .I have included a You Tube link to the short movie for your entertainment https://www.youtube....h?v=_FrdVdKlxUk "THE TEAPOT"
Here's some stuff I have on display....with ashtray.